Understand the unique challenges that surface when seeking to design and control physical infrastructure such as transportation networks, power grids and data centers. The standard antibiotic test used worldwide is based on how well drugs kill bacteria on petri plates — not in the body. Drugs that pass the standard test often fail to treat bacterial infections, whereas drugs identified by the “in vivo” test are very effective. Do complex systems exhibit fundamental properties? This talk looks at tradeoffs between robustness and fragility that occur in biological, ecological, and technological systems. Rod Garratt, UCSB Professor of Economics, describes his work on a project to build a proof of concept for a wholesale interbank payment system that facilitates payments of central bank digital currency using a distributed ledger. Debora Iglesias-Rodriguez discusses how humans can contribute to improving current ocean problems and eventually return the oceans to a more sustainable state. Greg Ashby studies how people learn new categories of objects. By mapping the neural networks, scientists have been able to identify many important and surprising differences in how we learn. Explore the state of the art in computing and how the demands for energy efficient and intelligent systems is driving the creation of entirely new approaches to the problem. Explore the mathematics underlying systems of interacting agents and how such systems can be analyzed using an age old scientific technique: what happens if we poke it? 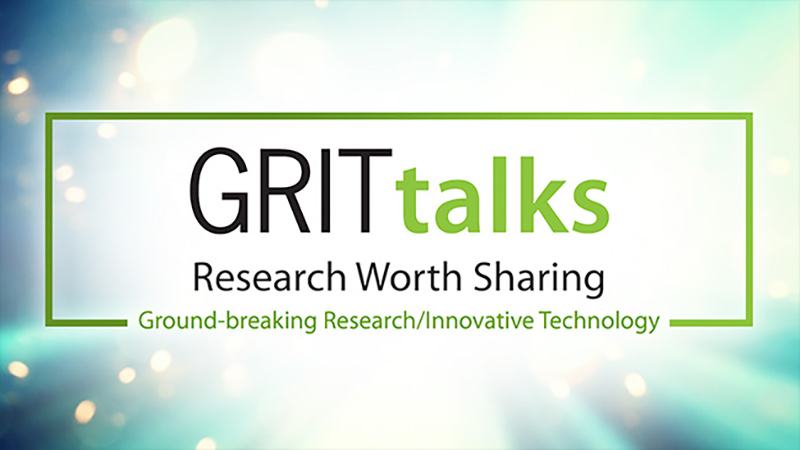 Check out these programs and more on UCSB’s GRIT Talks. We’ve all heard about superbugs, bacterial infections that don’t respond to antibiotic treatment and wondered what’s going on. When someone falls ill with one of these infections doctors determine which antibiotic to use based on a standard test. But UC Santa Barbara biologist Michael Moore says we may be relying on the wrong test when identifying the antibiotic to treat an infected patient. The current test was developed in 1961 and is used throughout the world but it’s based on how well drugs kill bacteria on petri plates — not how well they kill bacteria in the body. Moore’s lab has developed a new test that mimics conditions in the body, potentially transforming the way antibiotics are developed, tested and prescribed. His lab has identified antibiotics that effectively treat infections caused by diverse bacteria, including MRSA, the cause of deadly Staphylococcal infections. 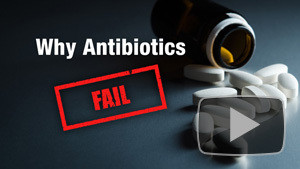 These antibiotics are often not prescribed because they failed the standard tests, despite being inexpensive, nontoxic, widely available and often effective. He is working to modify the existing test so that it can be widely adapted to give doctors better tools and information when battling superbugs. Drugs that pass the standard test often fail to treat bacterial infections, whereas drugs identified by Moore’s test have been effective. 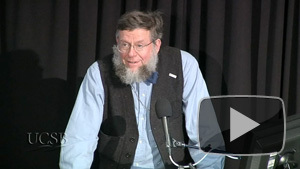 For more talks in this series, click here. Rapidly melting arctic ice, catastrophic hurricanes, devastating wildfires, and record-breaking drought; scientists agree that the climate is changing, that it’s human caused, and that it will undeniably be one of the most serious problems facing the world’s citizens for generations to come. They acknowledge that technologies to combat climate change do exist. How can we come together to address this challenge which has become a partisan political issue in the United States in a way it has not elsewhere in the world? In a lively and timely conversation, internationally recognized energy policy expert UC Berkeley Professor Dan Kammen, joins business leader and investor Tom Steyer, to discuss the pressing issue of the ever-changing environment. Climate Change, Politics and the Economy: Rhetoric v. Reality looks at where we are now, the solutions at hand, the barriers we face, and what must happen to “overcome the partisan divide” to speed the transition to a sustainable planet. For more programs, visit UC Berekley’s Goldman School of Public Policy series. From the Bren School of Environmental Science and Management at UCSB, get the highlights of recent findings from the 2013 U.S. National Climate Assessment. Severe Weather in the U.S. 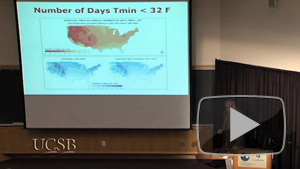 Under a Changing Climate follows University of Illinois Professor of Atmospheric Science, Don Wuebbles, as he explains the international 50-year rise in extreme weather, especially in heat waves and large precipitation events (i.e. hail, rain, freezing rain, sleet, and snow). Research indicates that there will continue to be an increase in both droughts and floods in various parts of the U.S in the next century. For more programs, visit UC Berkeley’s Goldman School of Public Policy series page. Over the summer the UC Santa Barbara Institute for Energy Efficiency hosted the 4th consecutive year of The UC Santa Barbara Summit on Energy Efficiency. 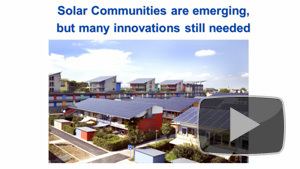 This year focused on Materials for a Sustainable Energy Future, including topics such as; Connecting Innovation: The Utilities’ Perspective, Electrochemical Energy Storage Technologies, The Challenge of Electrical Energy Storage, Energy Efficient Information & Communications Technology, Innovations in Solid State Lighting, and Critical Materials for Energy Technologies. Over 200 attendees joined together to hear from leaders from industry, academia, national labs and government to discuss materials challenges, opportunities and the latest developments relating to key technologies impacting energy efficiency. In the field of High Efficiency Power Electronics, a panel of experts in the field gather to discuss future possibilities, and how we can enable and integrate new technologies into existing systems faster. Moderator Lisa Margonelli, Author and Journalist of New America Foundation, joins a diverse panel including; Rajeev Ram, Professor of Electrical Engineering at MIT, Hari Harikumar, VP of Advanced Technology at Ingersoll Rand, JB Straubel, Co-Founder and CTO of Tesla Motors, and Umesh Mishra, Professor of Electrical and Computer Engineering at UC Santa Barbara and CEO of Transphorm. UC Santa Barbara takes pride in its beautiful beachfront location on the bluffs above the sand — but owning property directly on the coast comes with risk. 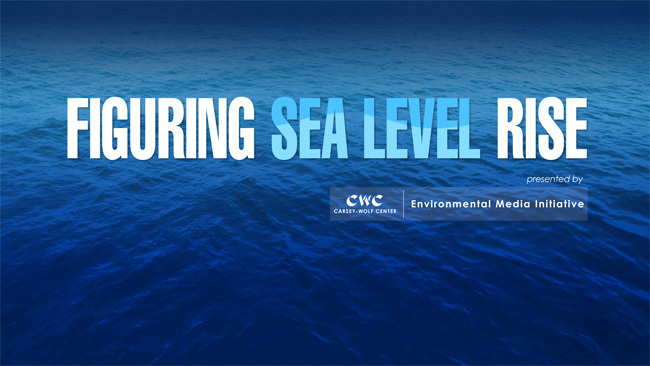 The Carsey-Wolf Center presents a series of lectures that tackle the problem of sea level rise and what – if anything – can be done about. The first episode gathers a variety earth science and architectural experts to examine what might happen to Santa Barbara and other shorelines as sea levels rise. The bluffs have been slowly eroding since the beginning of their existence, but what happens as the sea levels rise more quickly due to global warming? What options are there to avoid massive destruction? Should we build large or larger defensive sea walls or will we be forced to retreat from the crumbling cliffs? Watch “Santa Barbara Geography-Past, Present, and as Sea Levels Rise” to learn more about what Santa Barbara’s shoreline looked like in the past and what it might look like in the future. Watch other programs on sea level rise.